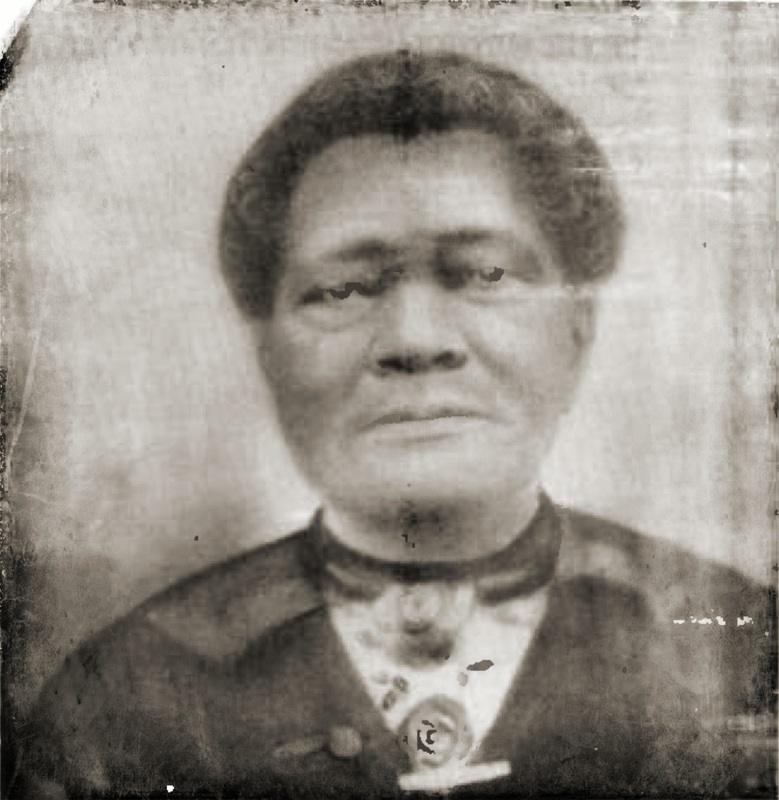 Caroline Tracy Dye (1843?–1918), better known as Aunt Caroline Dye, was born into slavery in South Carolina. She was gifted with the Far-eye as a child, able to see things outside of the realm of the mundane. As she grew older and other folks became aware of her abilities, she was labeled “fortune-teller”, though some say she never saw herself as such. Aunt Caroline had a large following from all over the south and in particular from Tennessee. 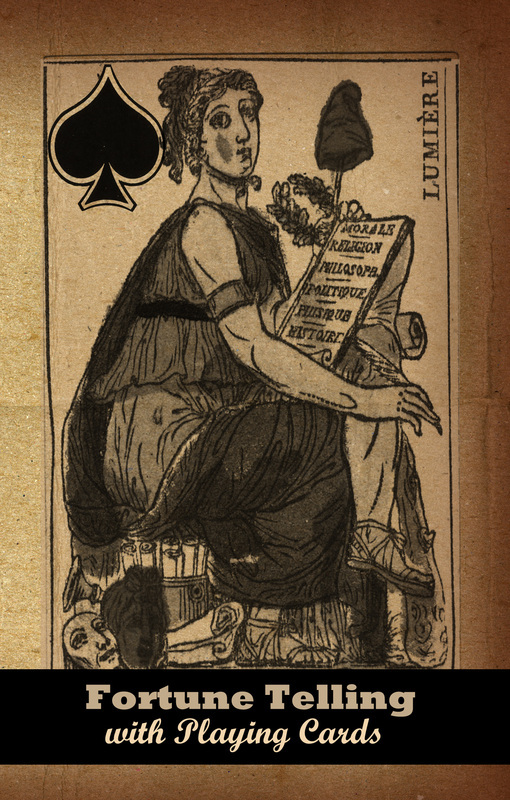 According to Craig (2009) she only used a deck of cards to help with her readings, and she refused to give readings about love or the outcome of World War 1. “She did, however, tell many people the location of strayed or stolen livestock, sometimes giving specific directions, and she helped people locate missing jewelry. She gave visions of the future for her clients and offered advice on missing persons” (Craig, 2009). It was after Dye moved to Newport (Jackson County) that her reputation began to grow. She never claimed to be a fortune teller; that title was given to her by others. Her clients were both Black and White, and most showed their appreciation by paying her a few dollars for a reading, although payment was not required. Dye reported that she received twenty to thirty letters a day, with most including money for her services. It was said that some prominent White businessmen of Jackson County would not make important decisions before consulting her. All day long, people crowded into her home in Newport waiting for a reading. She took advantage of the large number of visitors and sold meals from her house. Dye reportedly only used a deck of cards to help her concentration and would not give readings about love or the outcome of World War I; she did, however, tell many people the location of strayed or stolen livestock, sometimes giving specific directions, and she helped people locate missing jewelry. She gave visions of the future for her clients and offered advice on missing persons. Dye died on September 26, 1918, in Newport. After her death, large amounts of cash were reportedly found in her house. She is buried in Gum Grove Cemetery in Newport next to her husband, who had died in 1907. 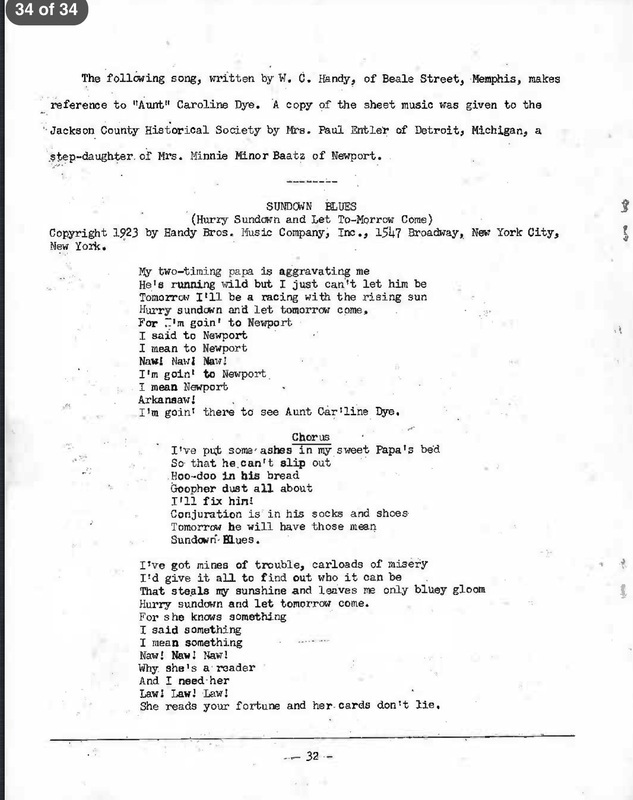 Aunt Caroline Dye's legacy persists as her name is forever part of two songs written by Memphis bluesman W. C. Handy. According to Handy, the gypsy mentioned in “St. Louis Blues” (1914) was Caroline Dye. In addition, “Sundown Blues” (1923), was identified by Handy as the fortune teller (Aunt Caroline Dye) of Newport, Arkansas. You can listen to "Aunt Caroline Dyer Blues" by the Memphis Jug Band at the bottom of this page. Over the years, Aunt Caroline Dye's legend has grown to describe her as seer to hoodoo woman, two headed doctor, fortune teller, psychic and conjure doctor. Aunt Caroline Dye is a Spirit Guide who has found her way onto the altars of rootworkers and spiritualists. She can be found alongside Dr. Martin Luther King, Dr. Gregorio Hernandez, St. Michael, Jesus, and Mama Mary. She may be compatible with St. Anthony as well, since they both specialize in locating lost articles. Because of her reputation as fortune teller and psychic, items such as tarot cards, playing cards, crystals, and crystal balls can be found on her altar, although she is said to have never used any of that sort of paraphernalia. Keeping your own tools of divination on her altar makes sense in terms of asking for her blessings on them and for helping you with your own gift of sight. 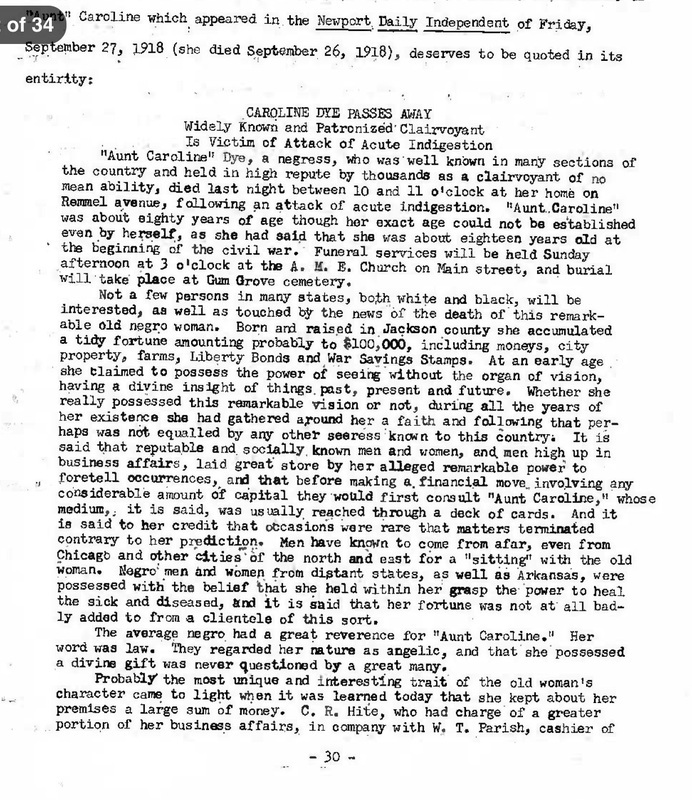 Despite the fact that Caroline Dye was born a slave and illiterate—reportedly not even able to write her own name—she was a thriving business woman. She had a steady flow of cash coming in and is said to have invested in real estate and owned eight farms (Wolf, 1969). This tells me she would be a good Spirit to petition for help in business matters and for keeping the money coming even in difficult economic times. She would be particularly suited for women of color who are in business for themselves. Offerings to Caroline Dye could include sugarcane syrup, cornbread, yams, pound cake, sweet tea, peaches, magnolias and Southern food in general. She is said to have kept a very clean and neat home, with her tables covered in white. Her altar can be kept similarly neat and clean and covered with a white cloth. Not much has been written about Caroline Dye in terms of working with her as a Spirit Guide. Whenever this is the case, it behooves us to take a look at the person’s life to learn how they lived their lives and what was important to them. The things that stand out can be further amplified through silent meditation and by communing with the Spirit on a daily basis, remaining open to receiving what information they give us. Wolf, J. Q. (1969). 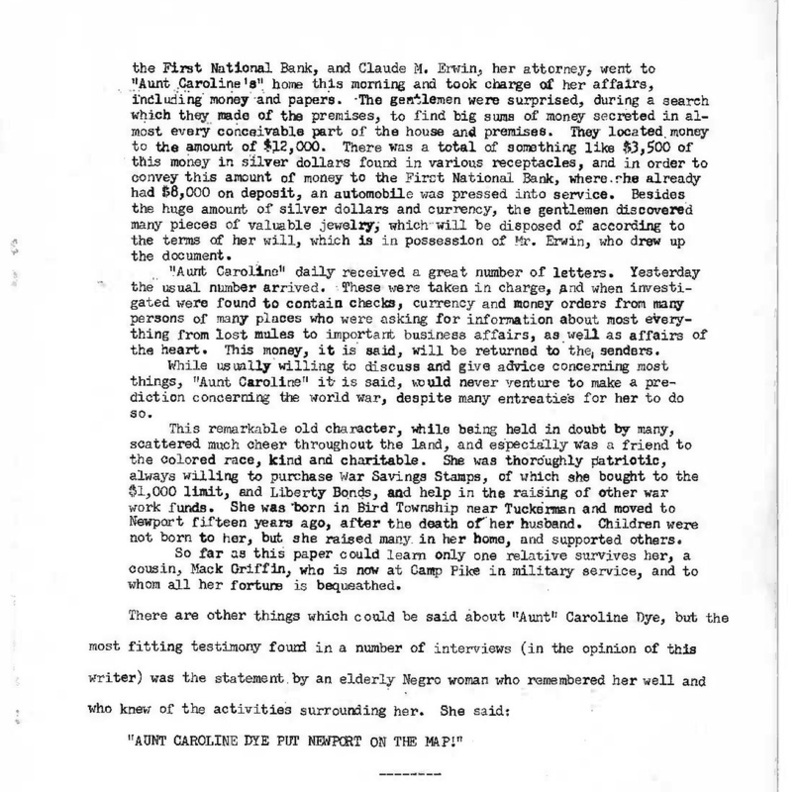 Aunt Caroline Dye: The Gypsy in the "St. Louis Blues". Southern Folklore Quarterly ,Volume 33. * This article was originally published in Hoodoo Almanac 2012. Reprinted with permission of the publisher. Aunt Caroline Dye: The Gypsy in St. Louis Blues. Caroline (Tracy) Dye, better known as: "Aunt Caroline," was a well known seer. Her name was recognized in Arkansas and the Mid-South in the early 20th Century. Aunt Caroline Dye's tombstone. 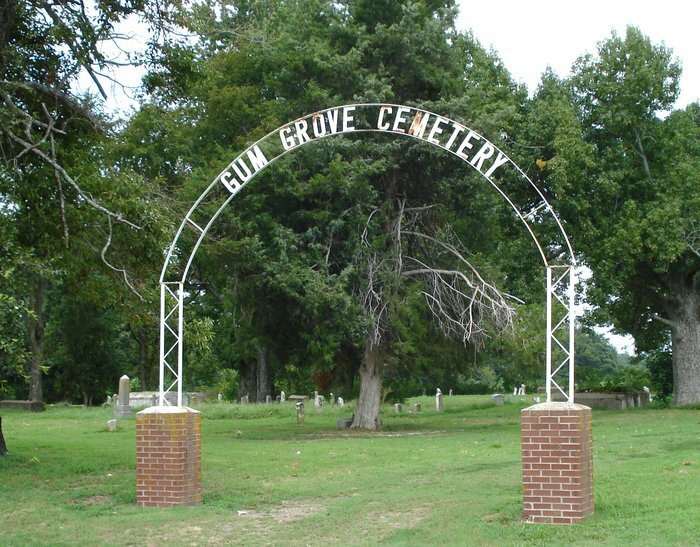 Photo courtesy of Findagrave.com. This article is a reprint from Hoodoo Almanac 2012 which contains many more interesting and unique articles such as this one. If you are looking to learn how to tell fortunes with cards, this is an excellent book because it gives instructions for multiple methods. It provide instructions for telling fortunes with a full deck of 52 cards and describes the meanings of each card. It also provides instructions for divining with a 32 card deck, which is essentially a portion of a full deck, and gives the meanings of the cards along with their combination meanings. This book also tells the reader how to divine the past, present and future with cards. And that's not all - there are instructions for divining with a 21 card deck, a French system, an Italian method, a lottery and more! The author gives example readings for each method and also shows how to answer specific questions using cards. Written in 1915, this is a classic book describing age old techniques for divining with playing cards that have been passed down in various cultures for centuries.